Headers for the Pickup tacked together. Looks like they fit OK.
Time to commit to the full weld. Had my leaf springs reset 50mm higher to get some arc back in the spring. Got some diff saddles. Looks like I'll need some new longer U bolts. Tru Trac turned up too. I'll sit it all in tomorrow. Dummied diff up with new saddles, u bolts etc. Sat a centre in to check tail shaft length. All good. Now just have to set pinion angle. Stripped backing plates. Have to machine center out a bit more. Yeah, needed to have 3 bungs welded in it 2 for brackets, 1 for temp sender. That's not too bad Jim. 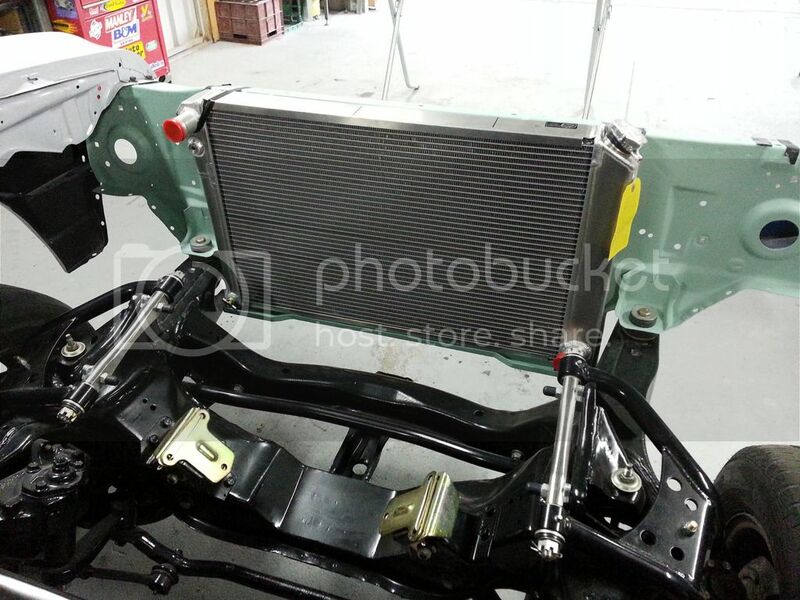 Nice looking radiator, what is it from?